Various print publications and collateral that I’ve completed for different clients. I designed and laid out this report, exploring in detail the five primary drivers of effective consumer advertising. 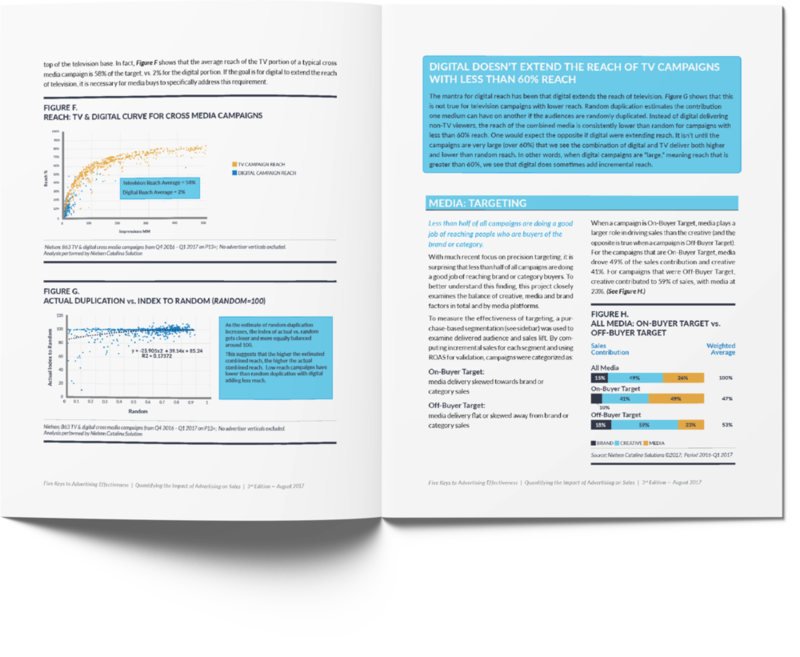 The findings are based on two research studies performed in 2016-2017; the first analyzing creative effectiveness across 500 media campaigns, and the second one exploring the consumer reach of 863 TV and digital campaigns. 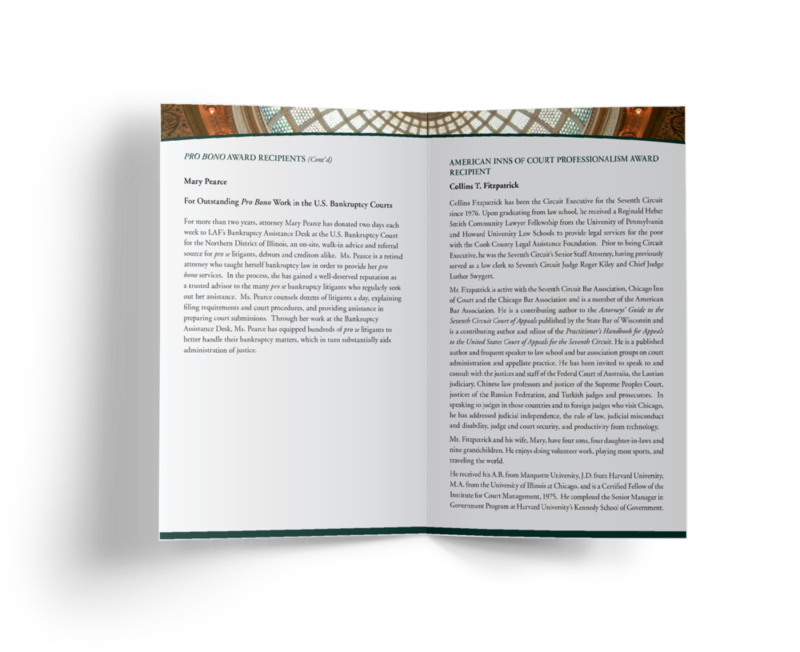 A US letter-sized trifold detailing all events scheduled for the annual 7th Circuit Bar Association Judicial Conference. The half-fold dinner program for the main evening of the annual 7th Circuit Bar Association Judicial Conference. 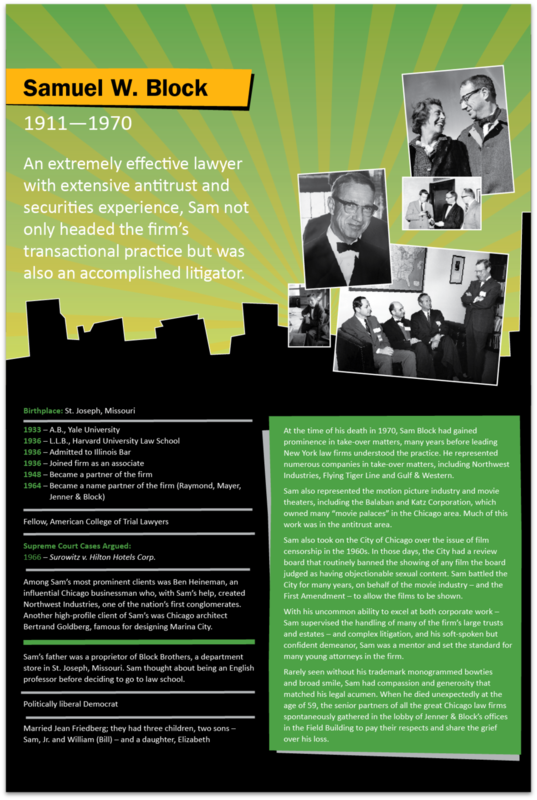 I created these extra-large biography posters for an annual alumni event at the law firm Jenner & Block LLP. The poster stood at a rather large 30”x45” (76.2 cm x 114.3 cm).